In a speech to the New Zealand Institute of International Affairs delivered in Wellington this week, Prime Minister Jacinda Ardern has given us the clearest sense yet of the direction New Zealand’s coalition government will take on foreign policy. 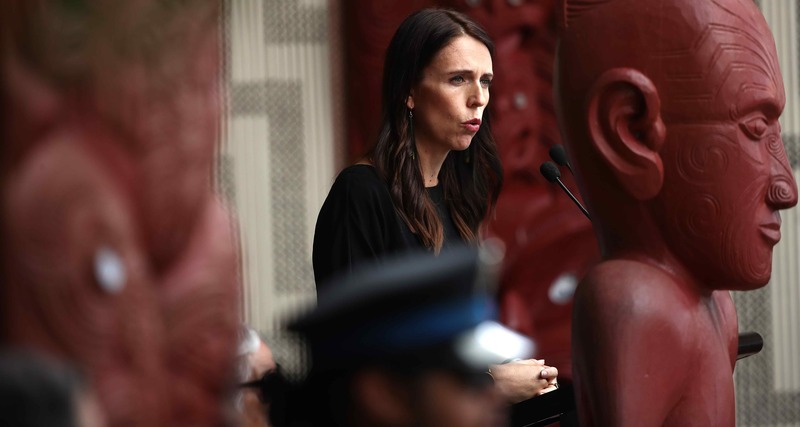 Any prime minister’s first big foreign policy speech attracts interest, but given Ardern sits at the head of an ideologically diverse three-party government, her address drew closer scrutiny than most. The Prime Minister faced the dual challenge of laying out a fresh new foreign policy vision while juggling the diverse interests of her New Zealand First and Green Party partners. In this, the speech was largely successful. First, lest there was any doubt, Ardern made it clear she will be a strong and active leader when it comes to her government’s foreign policy. The Prime Minister talked of a long-standing personal interest in international issues, dating back to her days in the International Union of Socialist Youth. Notwithstanding the government’s ambitious domestic agenda, and the fact New Zealand First ministers hold the foreign affairs and defence portfolios, Ardern sees herself as an internationally minded PM very much in the Helen Clark mould. Second, Ardern used her speech to highlight several “points of difference” that she said will distinguish the new government’s foreign policy from that of the John Key and Bill English years. On trade, Ardern said New Zealand would continue to be a strong advocate for liberalisation, but emphasised the need to ensure that future trade agreements deliver benefits for all. Drawing on her experience with Comprehensive and Progressive Agreement for Trans-Pacific Partnership (CPTPP) negotiations, the PM talked of an inclusive and sustainable trade agenda, and pledged to pursue the interests of Maori, women, and New Zealand’s underdeveloped regions more openly. Ardern also highlighted two issues on which she wants to see New Zealand do more and stand up for its values on the global stage. The first is a topic dear to the hearts of Labour-Green voters: disarmament. Ardern announced the reinstatement of the portfolio of Minister for Disarmament and Arms Control axed by the previous National government in 2011. She said New Zealand would move quickly to ratify the Treaty on the Prohibition of Nuclear Weapons, and would make sure the country’s voice is heard on chemical weapons issues and the spread of conventional arms. The second priority, climate change, had also been well-signalled before now: on the campaign trail, Ardern called climate change “my generation’s nuclear-free moment”. The new government wants to do more on this in the Pacific, and in this region New Zealand will doubtless play a greater role. Foreign Minister (and New Zealand First leader) Winston Peters has already indicated a desire to increase aid spending, partly in response to the growing number of new actors seeking influence in the region. More money to help Pacific states with climate change adaptation should give New Zealand greater leverage. That will not only make Mr Peters happy but also provide the Greens with a foreign policy win. If the first half of Ardern’s speech was about new priorities, the second was about old friends and established rules. She said, “We will look to strengthen partnerships with long-standing friends who share our values”. Australia was described as “a vital source of resilience for our economy”, and a “key partner” in the wider world. New Zealand’s “special relationship” with the UK was touted, and despite differences with Washington over trade and climate change, the Prime Minister said America’s “capacity for ideas and the energy of its people give it enormous scope to help shape a better world”. My government will speak honestly and openly with our friends in Beijing. Whether it is about human rights, pursuing our trade interests, or the security and stability of our region. Among the list of growing challenges to the rules-based order, were “cyber intrusions which threaten our economic interests”, and “challenges to maritime rules and norms”. This emphasis on values and defending the rules-based system will be welcome in Washington, Canberra, and Tokyo, but what (if anything) it means on issues such as the South China Sea, or allegations about China’s efforts at political influence, remains to be seen. What was missing? Anyone hoping to get a sense of the coalition government’s attitude to the use of force will have come away none the wiser. There was no mention of New Zealand’s deployment in Iraq, of UN peacekeeping, combating terrorism, or even a greater interest in conflict resolution or mediation. Looming difficult decisions about defence modernisation also went unmentioned. It was also surprising to see Ardern give such short shrift to wider Asia. In an era of heightened strategic competition, New Zealand has found itself moving closer to the small and middle-sized nations of South East Asia, none of which is a liberal democracy. There was neither mention of ASEAN nor warmer ties with Singapore or Japan, despite Tokyo’s leadership on the CPTPP and its important role in the South Pacific. To be fair, not everyone can get a mention in the Prime Minister’s first foreign policy speech (the EU also missed out). But it is in Asia where a values-based foreign policy will face its greatest challenge. Asia is home to New Zealand’s most important markets and multiple rising powers, and it is also where established rules and long-standing institutions are changing, whether we like it or not. Ardern has proposed a recalibration in New Zealand’s foreign policy to give it a less utilitarian hue. But navigating Asia’s increasingly complex geopolitics will require dealing with a range of states, big and small, many of which do not share our values. New Zealand’s new idealism is likely to retain a healthy pragmatic streak.